How to Choose a Good Portable or External Hard Disk? Home » Hardware • How to Guides » How to Choose a Good Portable or External Hard Disk? External Hard Drive is a reliable and easy way to backup or store your useful data. They have also become quite cheap nowadays. Their storage capacity generally ranges from 500 GB to 2 TB. Basically an external hard drive is nothing but a 2.5 inch laptop hard disk enclosed in a casing which is powered by a USB connection or interface. Many companies have come up with various models with different features and specifications giving the customer wide range of choices. So selecting an external hard drive can be tricky or confusing sometimes as there are many models available from different companies, each having its own set of specifications and features. But if you follow my advice it can become very simple for you. Here are some of the most important things to consider when buying a good portable hard disk for your home or office work requirements. First and foremost is to know your requirement. 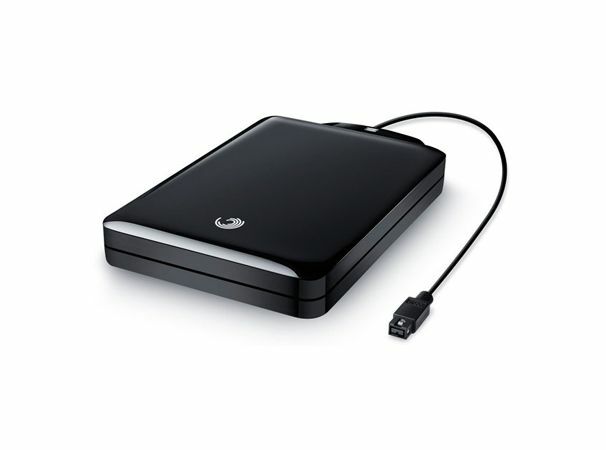 If you just need the drive for taking regular backups and storing day to day general softwares, documents or transferring files from one computer to another then a 500 GB external HDD will be enough for you. But if are involved in some multimedia work or going to store Blue-ray movies and HD videos then you should go for a external hard disk of 1 TB storage capacity or more. USB 2.0 Portable hard drives are very common but if you need fastest data transfer speed then look for a portable hard drive with USB 3.0 option. USB 3.0 enabled HDD are faster as compared to USB 2.0 in terms of data transfer speed. Theoretically data transfer from USB 3.0 is ten times faster than a USB 2.0 one, but your computer or laptop must have the USB 3.0 ports to make the external hard drive work in USB 3.0 mode to its full capacity. Also a USB 3.0 capable external hard drive should also be compatible with older USB 2.0 interface as all computers or laptops do not have the latest USB 3.0 ports. 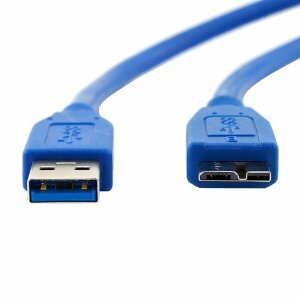 One thing you should also know that a special USB 3.0 data cable is needed for data to be transferred in USB 3.0 mode even if both your external hard drive and computer are USB 3.0 enabled. Your external hard disk should be compatible or work with the major operating systems like Windows 8, Windows 7, Windows XP or Mac. So check this when buying your portable hard disk. Also if your external hard drive is compatible with older USB 1.1 port then it would be an extra advantage for you. Some external hard drives need external power source to operate. Avoid this at any cost as it can be very frustrating to find an external power source every now and then. Choose the model that draws power from your computer USB ports only. Different companies offer different types of special features on their external hard drives models that includes Security Protection, Data Backup, Password lock, Antivirus protection, Shock Proof, LED indicators and so on. The Shock Proof feature is most important as it will provide some sort of protection if you accidentally drop your external hard disk. As of now all the companies are offering 3 years replacement warranty on external hard disks so if you can find a little more extra then it would be nice. Well this is not that much of an important factor but if there are two portable drives from different companies with exactly same features but different price then choose the one with lower price range. You should always purchase an external hard disk from good brands like Western Digital, Seagate, Transcend, A-Data, Toshiba etc. hi, i have a 500 gb external hdd can i open up the casing and use it as a internal hard drive in laptop? yes you can use it as an internal hard disk in your laptop. any difference in speed and transfer speed compared to normal laptop internal hard drive? no as the internal hard drives are also normal drives. Mostly external HDD comes with 2 to 3 years warranty. But some Internal 2.5 inch HDD comes with 5 years warranty i.e. Is it ok to use after buy above 2.5 inch HDD and fit in Good external case. suggest me to choose the best (2tb External HDD is my request) and usb requirements also of reputable companies. Has today’s External HDD comes with usb 3.0 facilities? I have a Duel Core one. Thanking U, Sir, in anticipation. I suggest you to go for WD Elements 2TB external hard drive. It is a USB 3.0 and a very reliable and fast portable hdd.